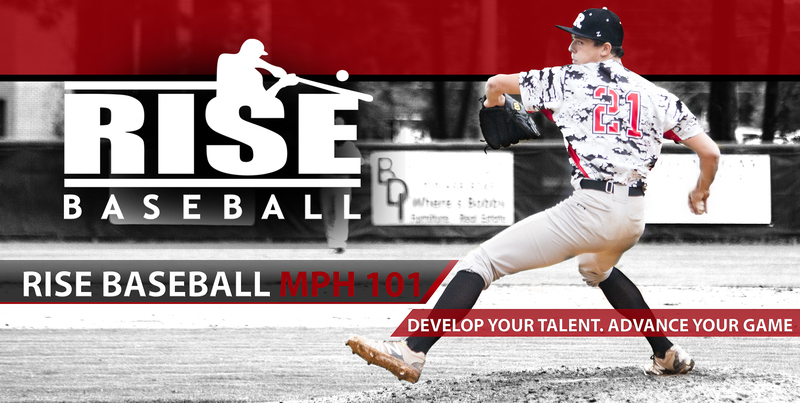 RISE Baseball is excited to announce the partnership between RISE Baseball and MPH101 headed by Charlie Dragum and Hunter Hoy. This partnership allows RISE Baseball players to develop through a throwing program that has been proven to develop players velocity, become more durable, and recover faster. The currently list of college commits from MPH 101 include: Kevin Light (Longwood/Nationals), Jacob Mayers (University of Richmond/ Nationals), Aaron Berg (Longwood), Patrick Long (Georgia Tech), Jacob Smith (Radford), Allen Ellis (Longwood), Justin Sorokowski (FSU), Stephen Carpenter (VCU), Andrew Knizner (NC State), Marty Tolson (UMBC), Derek Casey (UVA), John Gregory (Longwood), Hayden Moore (VCU), Jacob Weis (University of Richmond), Grey Lyttle (High Point), Jack Dragum (UVA), Austin Erb (Ashland University), Logan Barker (Marshall University), Tyler Kane (RMC), Justin Thorn (RMC), Reeves Lowry (Shenandoah), Chris Childress (RMC), Alex Ford (Mary Washington), Daniel Burroughs (College of Albemarle), Bryant Lowry (CNU).